Before the big day, I always recommend a trial; this will let us get to know each other a bit first and you can find out what information you need from me well in advance. You can take a look at my portfolios and testimonials, we’ll discuss what you want your makeup to do for you; bold brows, subtle shimmer, sharp cheekbones or bright eyes; I won’t rest until you’re 100% happy and have a beaming smile. Read my tips on how to prepare for your wedding make-up trial here. 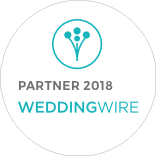 We'll test out products and create a plan tailored to you for your wedding face, and I'll keep a note of everything used for your final look. 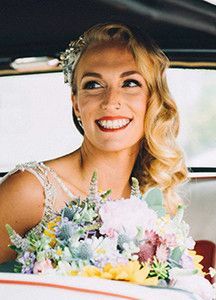 We’ll discuss your skincare routine or put one in place in preparation for your wedding; after all, skin preparation is the key for your face and for makeup to look its very best, and last all day long. I take pride in using products that are Cruelty-Free. My kit includes but is not limited to Illamasqua, Urban Decay, Ardell, Hourglass, ELF, Barry M, Body Shop, Real Techniques, Morphe and Sugarpill. I use First Aid Beauty, Soap and Glory or B. for my skincare. Read my tips on how to prepare for your wedding morning here. • My full attention until you’re ready to leave. 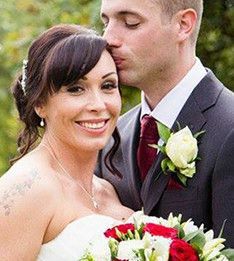 Buttonholes, dress lacing, hand-holding - you name it, I'm there for you! Additional adults can be added to the above package for £55.00 per person. Additional adults can be added to the above package for £50.00 per person. 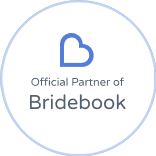 At the time of making a booking, a deposit of £100.00 will be taken by bank transfer or PayPal to secure your wedding date. The deposit is taken off your balance and is non-refundable in all circumstances. Trials are not required for members of the wedding party or additional guests but can be provided at the same time as the wedding trial. Any additional guests having a trial at the same time can make a payment in cash on the day of the trial. All payments made are non-refundable. 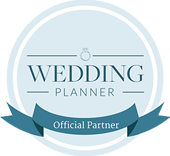 In-depth 1-2-1 lessons are available for wedding clients getting married abroad for £225.00 - contact me for more information about what this includes. Read tips on how to choose your wedding make-up artist here. Here's what some of my brides have said about working with me. Kirsty - Sali was the utmost professional from my first meeting with her. She has a very lovely nature and really listens to your ideas while adding her own thoughts. Sali styled me for my wedding day she was a calming influence on me and my bridesmaids and did a fabulous job at making us all look beautiful. I would use Sali for any other event and plan on booking a make-up lesson with this amazing lady. Thank you. Lucy - Thank you again for Saturday, you were brilliant and kept me calm when I lost the plot a bit. You made me feel like a film star and everyone commented on how lovely my make-up looked. Sarah - I had two makeup trials & Sali was heads above! She is open, friendly & professional. She doesn't subscribe to one brand & provides what you need rather than what's available on trend. She listens to your ideas & works with you to make sure you are happy. She responded to emails promptly & her pricing was competitive. My make-up lasted all day & I only needed a touch of lipstick after food/drinks. She also helped with the buttonholes on the day! She is amazing! Emma - Sali is a makeup goddess. My bridesmaids and I were over the moon with our make-up. Sali listened to what I wanted, made me giggle when I was a nervous, trembling wreck and made me feel beautiful. I can't recommend her highly enough. 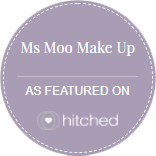 You can also read my wedding makeup reviews from my previous clients on my blog here for Lilith, Hayley, Jo and an anonymous review too! !